Ingleside at Rock Creek is a retirement community campus situated within a 16 acre site between Rock Creek Park and DC’s Chevy Chase neighborhood. The campus master plan has a widely varied scope including streetscape planting, large and small gardens, bio-retention facilities, roof terraces, and green roof plantings. 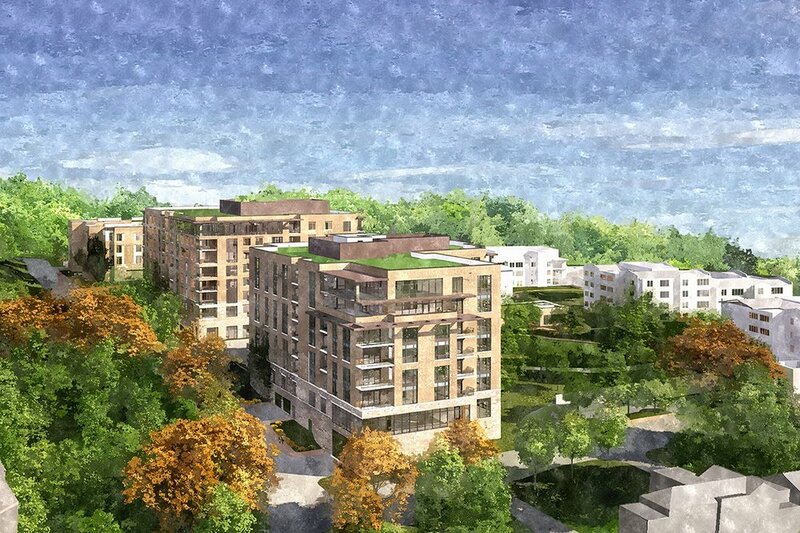 The overall design integrates the campus landscape and existing park surroundings to create a diverse range of outdoor spaces where residents can connect with one another, engage in formal and informal therapy, and find tranquility in gardens big and small. As the largest exterior public space associated with the campus renovation, the South Courtyard became a primary design focus for the LAB team. This prominent space is visible and accessible from five surrounding buildings, making it an ideal social gathering hub. 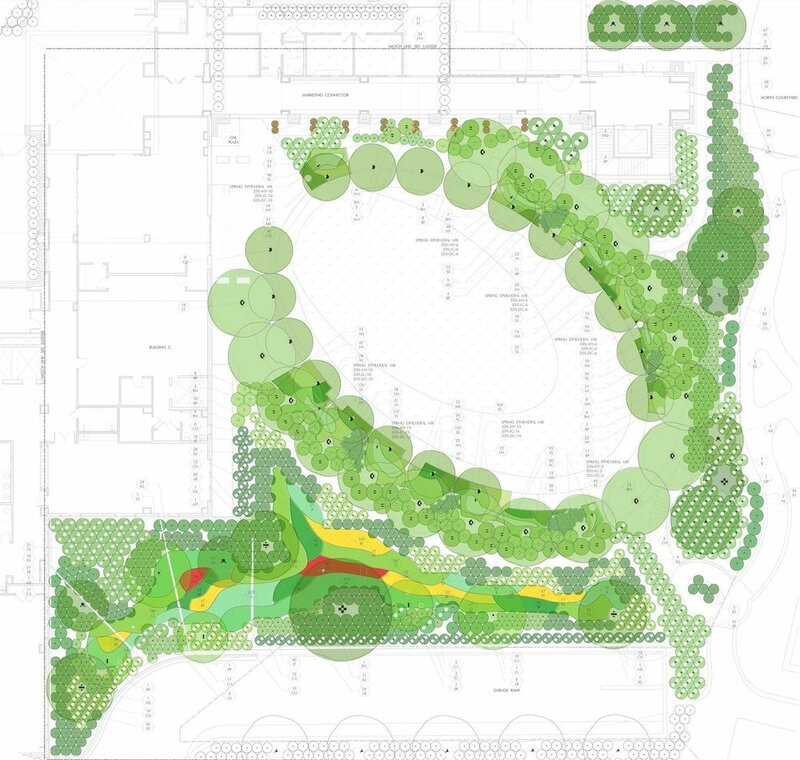 A tree-lined ellipse that encloses a gently-sloping lawn defines a courtyard surrounded by lush planted areas and bioretention facilities. LAB’s design efforts also included several building terraces, a therapeutic garden, roadside entry planting, and site-wide stormwater management. The completely native planting palette weaves throughout each of these areas, relating them to one another and to the larger regional landscape and Rock Creek Park. Drawing inspiration from the region’s diverse ecological communities, the planting selections emphasize ephemerality, seasonality, and texture. These qualities are further defined within each exterior space based on site micro-climate and programmatic needs. The ever-changing quality of the vegetation contrasts with more static landforms, pathways, and architectural features that delineate formal gathering and recreation spaces across the campus.